Control components are used in a wide variety of applications with varying degrees of complexity. One example of a simple control circuit is a circuit that turns a light on and off. In this circuit, the control component is often a single-pole switch. Control circuits used in commercial and industrial applications tend to be more complex than this simple circuit and employ a broader variety of components. However, the function of these circuits is often the same, to turn something on and off. In some cases, manual control is used. More often, automatic control circuits or circuits that combine manual and automatic control are used. A simple on-off lighting control circuit illustrates an example of manual control. Manual control requires someone to use a switch to turn something on or off. The device being turned on or off may be a light, as in the previous example. However, many other devices are also controlled manually. For example, a manual starter can be used to start and stop a motor. While manual control of machines is still common practice, many machines are started and stopped automatically or by some combination of manual and automatic control. Automatic control occurs when circuits can turn something on and off without human interaction. A wide variety of components are used in control circuits. This includes components that vary in complexity from indicator lights to advanced systems that monitor, protect, and control AC motors. In some cases, the interaction of these components is dependent only on how they are wired to each other. This is sometimes referred to as hard-wired logic. Increasingly, however, these components are wired to a control system, such as a programmable logic controller or variable speed drive. In such cases, the interaction of the circuit components is dependent both on wiring and the software stored in the controller. 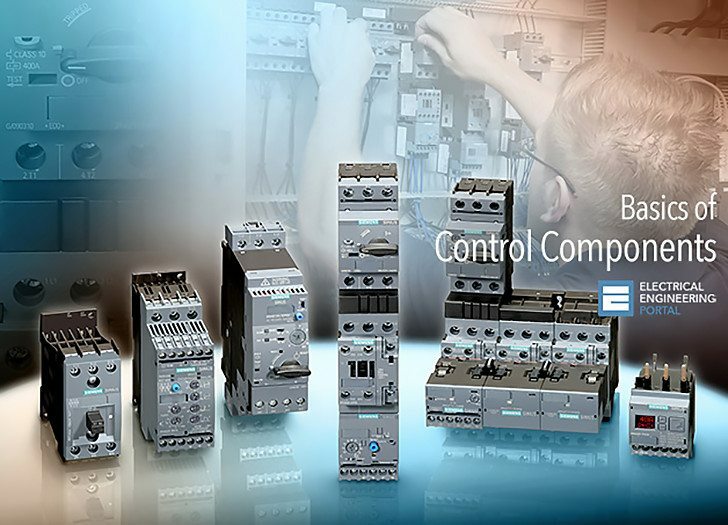 The complete range of Siemens control components is too extensive to be fully addressed in this course. However, this course will give you a good start. I want to learn electric control circuit any thing for electrical. Iwant to ask you this is are free or not. My work electric techniction For RTG crane.